Samokal Eid Sankhya 2016 (special magazine) pdf e-book. 'Samokal Eid Sankhya' is a special Bangla celebrated magazine for Ramzan Id/Eid-ul-Fitar. 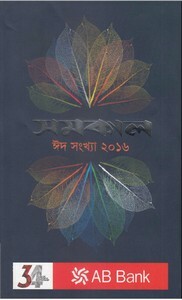 The magazine published from Dhaka by Times Media Limited. This special edition's inner stories are a lot collection of novels which are written by various famous authors, narrative, stories by multiwriters, translated stories, articles etc. The pdf ebook has 516 pages, 43mb high quality pdf size.